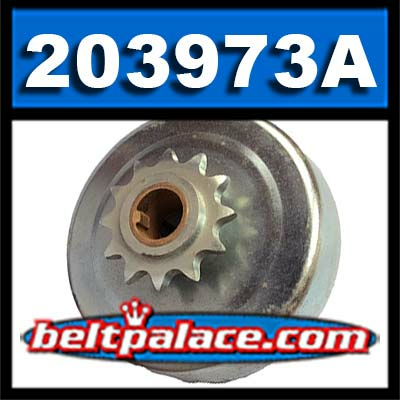 Comet 203973A Chain Sprocket Centrifugal Clutch. 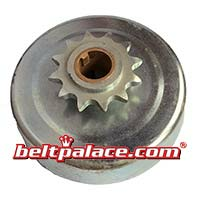 Home > Comet Clutches and Parts > Comet 203973A Centrifugal Clutch (LA Series). 12 Tooth. 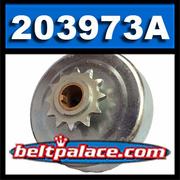 Comet 203973A Centrifugal Clutch (LA Series). 12 Tooth. Comet 203973A ("Loose Assembly" LA 400 Series) Centrifugal Clutch. Ideal for high inertia applications such as snowmobiles, mini-bikes, go karts, etc. Original Comet (4 CLUTCH S4012-75-40/41B) Part. Uses 40/41/420 Chain. 3/4" Bore, 12 teeth. Max. 8HP. 4 cycle engines only.